Greta Van Fleet have made quite the stir with their classic rock sound. Anthem Of The Peaceful Army shows flashes of talent but gets buried beneath the weight of its influences. Anytime an entity polarizes an audience, be it in pop culture or otherwise, my curiosity is piqued, and I am compelled to investigate. I think we can all agree that there have been few acts in recent years that have garnered as wide of a variety of reactions as Greta Van Fleet. Their undeniable influences have delighted some, while others see their sound and look as derivative and plagarizing the past. This has caused the band and their music to be discussed and scrutinized in ways which most musical acts aren’t, especially in the rock and roll space. If you were to overhear an average water cooler discussion about GVF, you’d probably hear someone drop terms like ‘Led Zeppelin Lite’ with a smirk, as if they were the first to make this observation. While your experience may be different, I rarely hear discussion about their songs and the quality of their music. To put my cards on the table, I’ll admit that I approached the band with an adult dose of skepticism. I saw them live at Carolina Rebellion earlier this year and, after just a few songs in their set, I felt as if I was watching a band that had adopted an identity rather than having created one for themselves. However, after having many spirited conversations about this band with the staff of Everything Is Noise, as well as with friends over a few drinks, I decided that I should check my bias. Was I being too harsh? Is there more to them than neo-nostalgia? With the release of Anthem Of The Peaceful Army, I decided to leave my preconceptions at the door (as much as anyone can) and give the album a full listen-through. After a few spins, I felt compelled to discuss the album in a review, as I think there is merit in discussing the music they make. Also, I want to contribute to the conversation around the music, not just the implications of their retro sound within the modern music scene. Anthem opens with “Age Of Man”, which in some ways plays out like a classic rock power ballad that employs some light folky vibes and an evocative melody. After hearing this song for the first time, I started seeing that Greta Van Fleet are great songwriters and understand what makes a song work. From a pacing standpoint, beginning the album like this is a smart way to defy the expectation that they would come out swinging with a bellowing Robert Plant-esque anthem. Yes, this comparison was always going to be made because it’s a touchstone that’s impossible to avoid when talking about songs like “The Cold Wind”. This evocation pops up all over the album in both the bangers and the ballads. While this isn’t at all unexpected, it still feels jarringly like an imitation. A prime example of this happens throughout “When The Curtain Falls”. There is a lilt that Josh Kiszka employs at the end of each line in the verses that is ripped from the Led Zeppelin classic “Whole Lotta Love”. This happens all throughout the song and really does them no favors in this already-tired comparison. Where Anthem Of The Peaceful Army succeeds, not surprisingly, is when it’s not falling into the reverential trappings that sometimes plague this band. “Watching Over” is one such song. While it’s still indelibly Greta Van Fleet, it rests on its own merits regarding the melody, production, and atmosphere. Its plodding pace reduces the frantic nature of the vocals, and the choir adds some much-needed dynamics. As skilled of a singer as Josh is, his sweet spot is in the higher register and, after a bit, it can get a little grating. “The New Day” takes some of the sharpness from the vocals, while the acoustic guitars and the melody feels classic but not like a copycat. “Brave New World” is another high point, its mid-tempo pacing giving the band some space to breathe and meander. This is a song that, more than any other, shows that Greta Van Fleet have genuine potential as songwriters. There are things to like about this album and, by extension, this band. For one, Anthem Of The Peaceful Army is paced pretty well, perhaps slowing down a little too much after the halfway point, but it’s honestly better than I expected. GVF prove themselves as solid songwriters and composers in their own right. Where the band and record falter is when there is too much reliance on the appeal of nostalgia. Even when the vocals, beats, and riffs don’t sound identical to classic bands (and trust me, many times they do), they still feel like B-sides or bootlegs from that era. Whether this is positive or negative is up to the listener, but I for one feel like it detracts from what this band is capable of. Perhaps the mimicry will wane with age; after all, these guys are quite young. Even if not, however, I think there is a place for their sound and approach just as I think there is a place for acts of all genres. 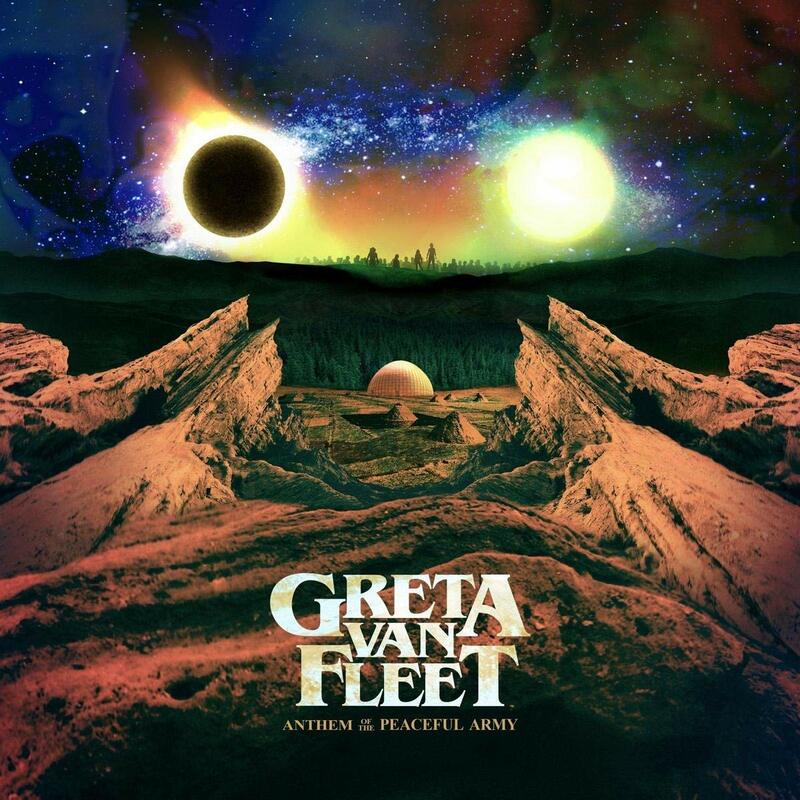 In the end, Greta Van Fleet did surprise me with this LP. I was expecting to come away with only a handful of moments to appreciate but ended up with some genuine admiration for what they’re doing. While Anthem Of The Peaceful Army is far from a perfect record, it shouldn’t be dismissed based on forum chatter, clickbait headlines, or hearing just a snippet or two. Listen and make your own assessment. There are some good songs to be heard and I found the vibe to be pretty cool and generally positive throughout. While the album didn’t fully change my mind, I think I’ll pay attention to where this band goes in the future and hope for more originality as they move forward in their career. Previous PostA SCENE IN RETROSPECT: Minus the Bear - "Planet of Ice"